Stan needs to build a clubhouse so he and Kyle can play “Truth or Dare” with Wendy and her friend, who has a crush on Kyle. 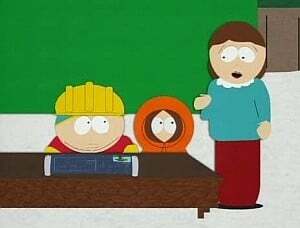 Cartman and Kenny retaliate by building a clubhouse of their own; only theirs has hot chicks. Meanwhile, the Marshes marriage breaks up and Stan learns a valuable lesson about love and family.